Are you thinking of moving from Brisbane to Sydney? 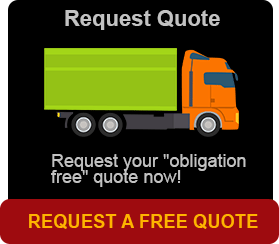 Why not call us at Brisbane Removals and Storage for the best remvoalists from Brisbane to Sydney that money can buy. With your Brisbane to Sydney removalists you will be assured of a hassle-free relocation at affordable rates. 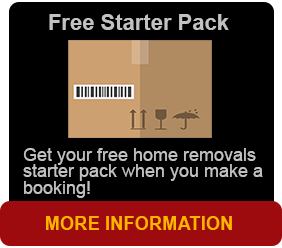 Brisbane removals and storage have the team to get you from Brisbane to Sydney. Removalists that we have are fast, efficient, and take care of your possessions in every way. There are not too many Brisbane to Sydney removalists providing a service like we have with dedicated administration staff and qualified loaders. Brisbane removals and storage has all the answers for your relocation needs. We are of repute. We operate interstate removalists going to Brisbane, Sydney, Melbourne and Adelaide with an extremely strong presence in the removals and storage industry for many years. We offer interstate removal and relocation services for people wanting to move to and from major cities in Australia. We also move people from the smallest of country towns to remote areas. No matter how big the job is or how small a household you are relocating, we are dedicated to making it the most convenient relocation experience for you.We provide everything from furniture packing to furniture storage solutions and piano removals and storage to vehicle and boat transport services. We provide professional and reliable house and furniture removals. Quality service is our main aim. We always strive to achieve customer service and the same with our expertise in administration and commitment to quality assurance. Our Interstate removals service is highly efficient and hassle-free. Our Interstate removals service is not only to relieve you of the effort in moving, but also stress during your interstate relocation. With Brisbane removals and storage, your belongings and possessions are always in capable hands. We understand the attachment you have with your treasured possessions and furniture. We also understand when it comes to your vehicle and all household items, you want them safe and secure. We can ensure that their safe handling and timely delivery to your new home is our promise. We have a number of large trucks available for transporting household furniture and vehicles to Sydney. Our team of professionals at Brisbane removals and storage will assist you and your family with packing up all your belongings. Large or heavy items of furniture like an entertainment unit, or small household items like a set of crystal glasses, we can pack anything and is no trouble at all. We provide good quality moving boxes for your move and our single and double corrugated cardboard moving boxes protect your treasured possessions against possible damage. Everyone is on a budget these days and our interstate back loading service to customers can help you in this area. You can share a truck or a container with another customer who are back loading from Brisbane to Sydney on in between and benefit from a divided cost. You only pay for only by the cubic metre, instead of paying for the entire delivery.